Water plays an important role in controlling your whole body function and also controls the diseases that are spread when you don’t drink adequate water. However, there many people who still ignore drinking sufficient water or the role it plays in keeping you healthy. Drinking pure water ensures a constant supply of fluids to your body and ensures its proper functioning. 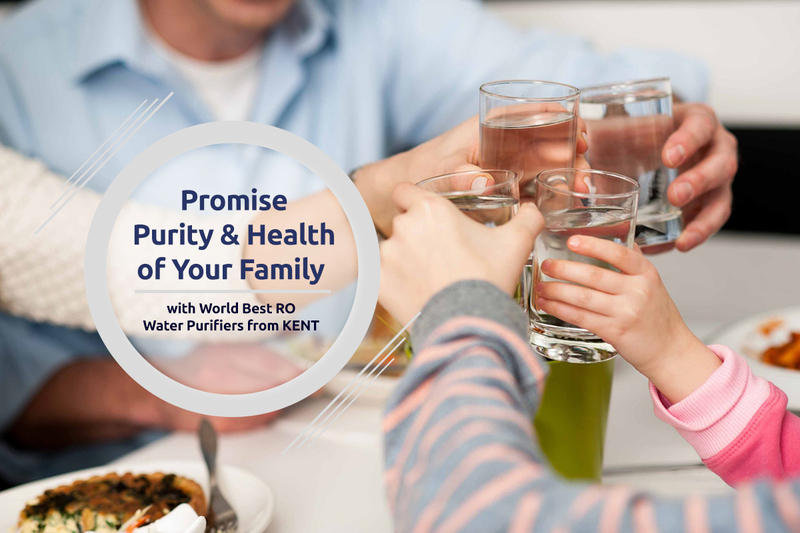 As the level of pollution has increased, many people prefer best water purifiers for home which remove impurities and ensure that you stay healthy and safe. If you too avoid drinking water and depend on aerated drinks, it’s time to give a second thought to your habit. The blog throws some light on the health problems that you may face because of lack of water. One of the problems that you face due to lack of water is fatigue. When your body doesn’t get enough water, the rate of enzymatic activity reduces and leads to fatigue. A serious health problem, fatigue makes you feel tired all the time and you also feel low on energy throughout the day which eventually affects your productivity. Approximately 60% of our body is made up of water and our bodies heavily depend on this miraculous drink to function smoothly. Drinking sufficient amount of water during the day helps in fighting the free radicals that lead to premature aging of your skin as well as your internal organs. Drinking plenty of water plays an essential role in removing toxins from the bloodstream. Pure and safe water also helps in facilitating good blood circulation throughout the body. The circulatory system of the body needs sufficient water to function properly as the amount of blood is not sufficient for filling the arteries, capillaries or veins. Water plays an important role in burning fat and helping you lose weight. However, this doesn’t imply you will stop exercising. Drinking water plays an important role in maintaining a healthy weight loss diet. Sufficient water removes toxins from your body and maintains a healthy metabolism. When your body is deprived of water, it becomes difficult for you to lose weight. 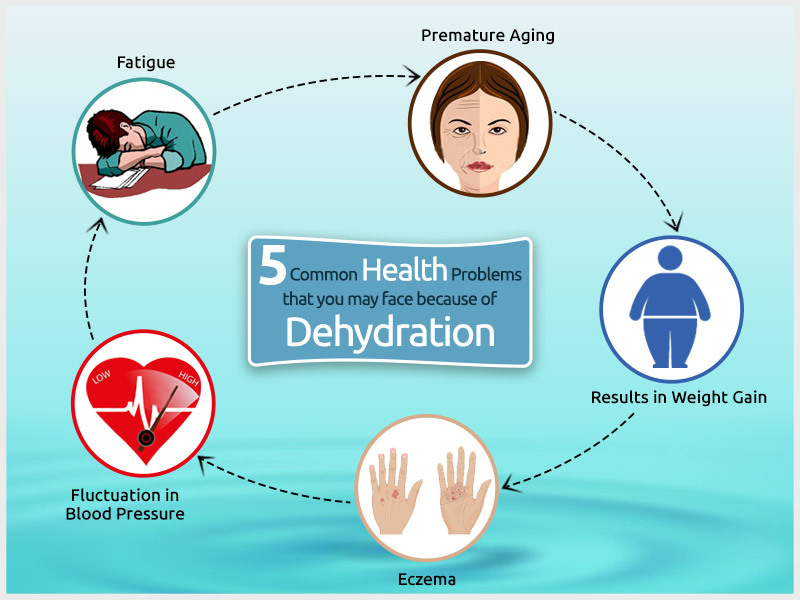 You may be surprised to know that lack of sufficient water can lead to skin problems such as eczema. The reason is your body needs enough fluid to sweat out approximately 500 to 700 ml of water. Sweating helps in releasing toxins and waste from your body. If these toxins and waste don’t come out of your body, it can eventually lead to skin irritations such as eczema. Breathing, precipitation, bowel movements and urine lead to loss of water. Our body needs to replenish the lost water in order to function smoothly. If you don’t drink sufficient water, it can lead to dehydration and a number of health problems that are mentioned above. However, ensure that you avoid bottled water as it may lead to a number of diseases and opt for the best water purifier for home. If you want to find out more about our water purifiers, visit our website.